Have the hotshots from the Polish contemporary art scene really felt a sincere desire for filmmaking, or is this just a fashionable trend? Piotr Uklanski’s Summer Love (2006) and Wilhelm Sasnal’s It Looks Pretty From a Distance (2011) have left a good impression on highbrow moviegoers. More recently, Zbigniew Libera convinced himself it was his turn to direct a feature film half-financed by the Museum of Modern Art in Warsaw. Over the recent years, the cruel toymaker, known for his controversial LEGO Concentration Camp, has felt the need to step out and take some fresh air in search of the Other en plein air (and in a forest, if possible). The staged photographs of an unidentified guerilla military unit on a mountaineering expedition designed for the 2008 series The Gay, Innocent and Heartless are somehow a prelude of his debut feature film Walser, filmed with some pleasant aerial shots in Slovenia. His first cinematic effort recounts the journey of a Caucasian train ticket inspector among the Konthalis, a hippie-looking tribe of half-naked white men with dreadlocks who live in a hybrid European-looking jungle in their not-so-exotic huts covered with branches of conifer trees. The middle man integrates soon into the flower children’s tribe, also by learning the local language, a fictitious idiom devised for the movie by Polish translator and polyglot Robert Stiller. 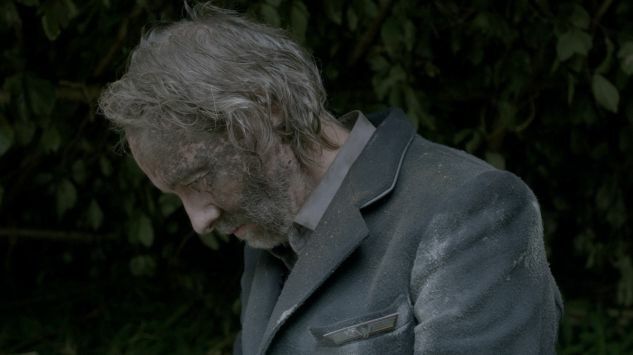 As a colonizer, Walser is too weak to have an impact on the colonized in Libera’s intriguing but unclassifiable and cerebrally appealing effort, mainly aimed at a niche art-house audience.